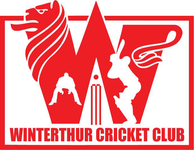 Winterthur Cricket Club finished in a respectable 4th position at the Prague Pepsi Cup (8-11.9.2016). All the results from the Pepsi Cup Prague 2016 are available from cricHQ. 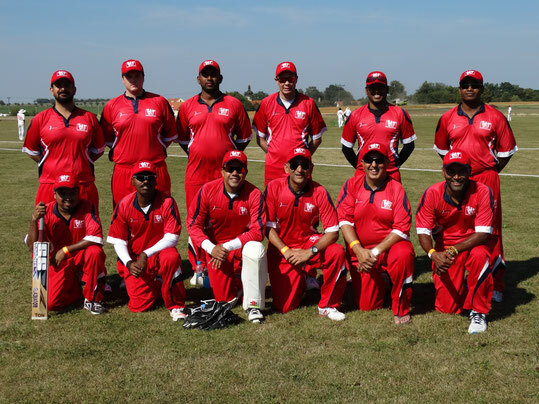 Winterthur Cricket Club concluded their Pepsi Cup Prague Tour finishing in 4th place! Despite the difficult conditions and the various injuries Winterthur played all the games. with an excellent team spirit. The level of cricket improved significantly on previous years (tournament average score on each grounds being 180+ for a Twenty20). Callum hitting some lusty blows all over the ground and getting a lusty blow to his crown jewels and getting an award for it! Callum grabbing a man of the match award for his well deserved half century. Selvaa entertaining us with his silence :-D(I'm planning to buy him a bell so that we know when he is around) or playing some classic text book style cricketing shots and throwing the bat on the ground scaring the opposition team. Dipi taking a break during batting by hitting the ball out of the ground almost every 2nd ball(9 sixes in one innings). Vinny modelling around the ground with his aviator sunglass and the the role model of encouraging the team! Lucky being unlucky in some of the matches but still managed to send the ball out of the ground without even calling an uber taxi ! Adam busy sorting how will all the kit bags and extra luggages which are not his will fit in the car ! 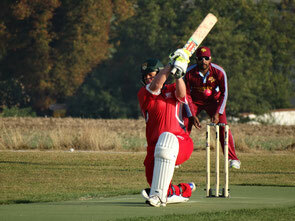 but still managing to bowl and incredible spell, eventually winning the man of the match award! Me (Tom) being just a nice guy, sponsoring all the food and drinks during the day for all 4 days (nothing to do with tour package) and distracting our team from noticing all the dropped catches in the matches. Julie for helping each and everyone of us during the tournament, be it muscle sores or other injury, if there was an injury during the day the first person to reach to the injured player is Julie. She has been outstanding in helping not just our team, but also umpires, other team players, Julie also managed to get us water during the matches when our 12th man was injured, encouraging us when we played better. Thank you again Juli for be our saving grace for the tournament for injuries and motivation ! Thanks to everyone that was involved in making it a big success and being part of it! Hope you all rest your muscles and let it heal over the next few days and wish you all a good start for the week and a wonderful day ahead! Photographs of the WCC at the 2016 Pepsi Cup Prague are available in the WCC website gallery. For further information on Winterthur's participation in the 2016 Pepsi Cup Prague contact Tom Mampilly.